How to choose an energy services partner for your financial operation. Banking & Finance CEOs, COOs & CFOs are continuously seeking new ways to grow their bottom line. A major area of focus for all of them has turned toward energy consumption and procurement in corporate headquarters, data centers, and branch offices. Choosing a knowledgeable and experienced partner for these critical energy services is an important first step in positioning your operations to adapt to the changing energy environment. The problem is far reaching for most banks with multiple office buildings and branches, and it is oftentimes hard to know where to begin to navigate the complex options for improving efficiency and taking charge of energy procurement to get the most out of your assets and operational budgets. In light of this complexity and the changing government regulations, partnering with an industry expert is a good option. 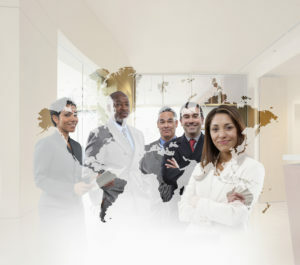 When looking for a partner for your energy supply strategy, procurement, and data management and analytics, it’s important to look for a consultant with a proven track record in delivering results for their customers and those that have been evaluated by an independent source, such as an industry analyst firm. Schneider Electric has both. Our customers in all segments of the market, even a well-known investment firm trust Schneider Electric for their energy consulting. Also, independent analyst firms such as Verdantix highly rate our services. In fact, Verdantix, in their Green Quadrant® UK Energy Services 2016 study, found Schneider Electric to be best-in-class in energy supply strategy, procurement and data management and analytics. 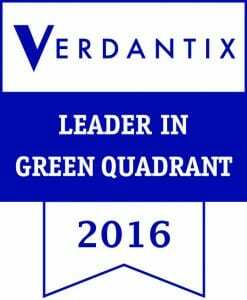 As a result, Verdantix positioned the company highest in the report’s Leader’s Quadrant for capabilities . The Verdantix Green Quadrant is a proprietary methodology designed to provide an evidence-based, objective assessment of suppliers providing comparable products or services. Specifically called out in the research is Schneider Electric’s EcoStruxure systems architecture, which provides a range of integrated facility- and energy-management applications. One of the applications, Resource Advisor, helps organisations see, measure and manage energy and sustainability initiatives across an enterprise. The cloud-based software allows users to make significant advancements in data collection and evaluation. The ability to evaluate complex “generate vs. buy” scenarios and compare the cost of onsite generation against real-time utility prices also led to the Leader’s Quadrant ranking. The Green Quadrant report combines benchmark data from 18 energy services for the private and public sector. The analysis compared offerings using 86 weighted criteria grouped under the “Capabilities” and “Momentum” categories. This report provides an overview of the U.K. energy services market, and is developed for executives and decision-makers, chief financial officers, directors of energy, facilities and real estate, and heads of procurement. It helps companies manage energy procurement and consumption in a way that reduces cost and risk, while delivering efficiencies. For more information about how Schneider Electric Energy and Sustainability Services can help your financial operation, visit our Banking and Finance Solutions web site.